A very impressive young Bordeaux blend 67% Cabernet, 17% Merlot, 16% Malbec. 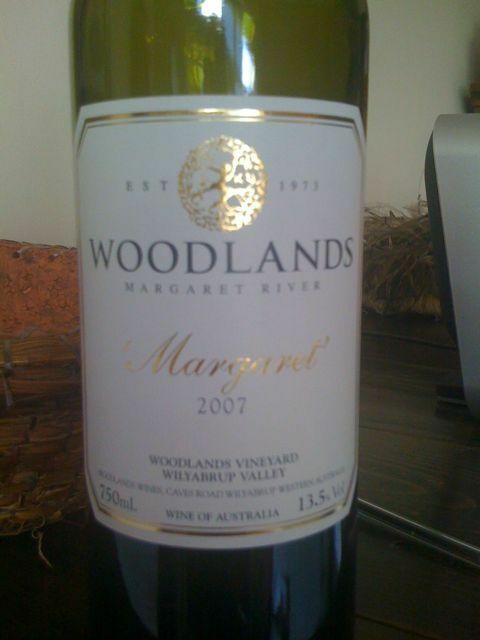 Powerful young berry fruit but unusual for Australia it’s quite savoury and the alcohol is moderate. The natural (?) acid is good and the overall balance is great. Like many great wines this will still drink well young but I’m going to try not to touch my case for another 10 years (2019). UPDATE 2012 – this has softened a good deal. It’s a very pretty wine, gorgeous aromas. I would now tend towards drinking it earlier rather than risking cellaring. The 2008 even more so. Two years later…. this really is a beautiful charming wine. I find it hard to understand why Australian wine writers (amongst their praise) describe it as a more austere style. Delicious now, but I still suspect that it will live a long and charming life.